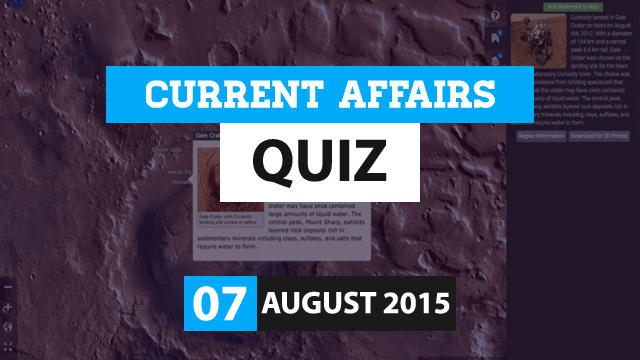 Friends..after a short break we are back with your Current Affairs Quiz. 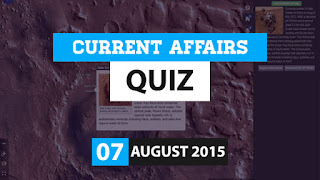 Today we are posting the Current Affairs Questions in Online Quiz format for 7 August 2015. Attempt the quiz and check your real time score. 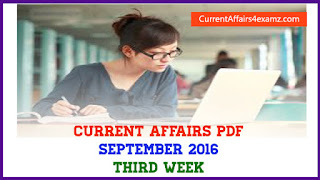 Also read descriptive Current Affairs 7 August 2015. 1) Airtel commercially launched 4G services in how many towns across India on 6 August 2015? 2) Union Government has recently signed a historic peace accord with NSCN(I-M) to bring normalcy in which state? 3) PM Narendra Modi recently announced which day as ‘National Handloom Day’? 4) "Mars Trek" is a free, web-based application that provides high-quality, detailed visualisations of the Mars planet recently launched by? 5) Name Indian artistic gymnast who on 3 August 2015 clinched the women's vault bronze medal at the Asian Championships 2015? 6) Union Government has recently launched ‘SAMANVAY’ web portal to monitor progress and implementation of which scheme? 7) Which state government has recently launched Thari Pension, Thare Pass project to directly transfer pension into the bank accounts of beneficiaries? 8) Who was on 3 August 2015 awarded with Bharat Bharti Literary Award for the year 2014? 9) Multi-Application Solar Telescope (MAST), Asia’s biggest telescope was recently inaugurated at the Udaipur Solar Observatory in which state? 10) Who was recently awarded the Ramanujan Prize for year 2015?